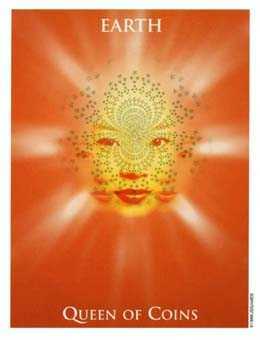 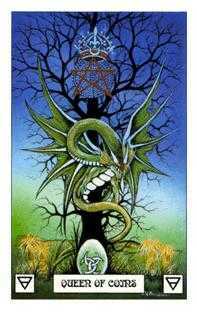 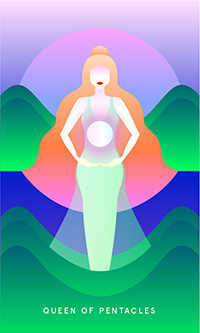 Use your penetrating intuition to divine new meanings. 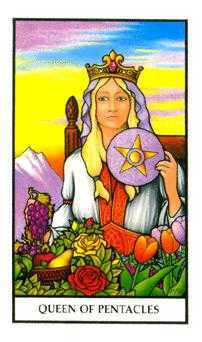 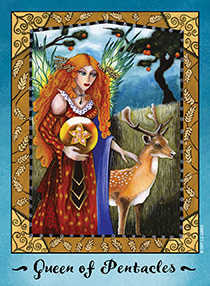 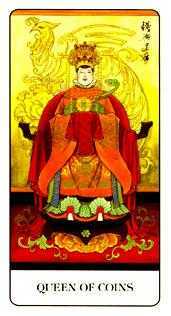 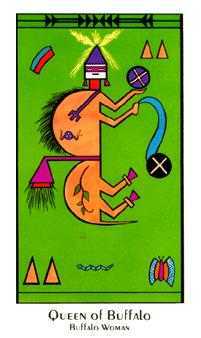 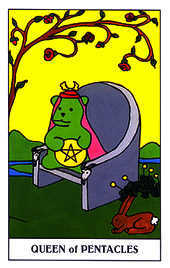 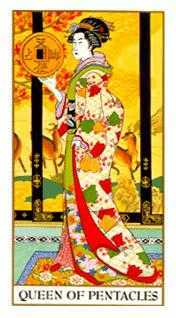 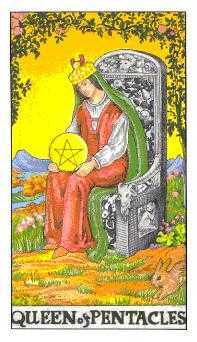 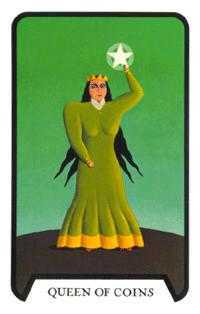 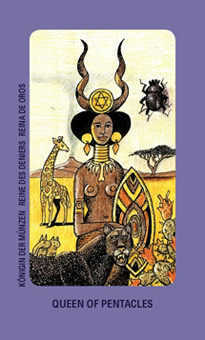 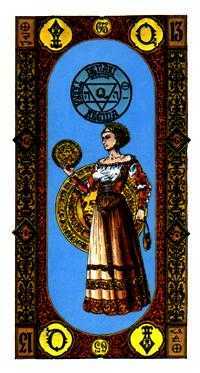 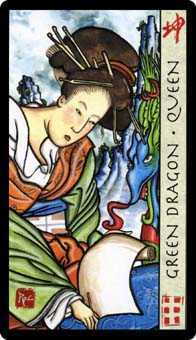 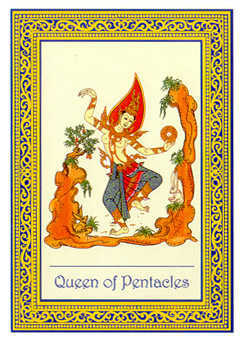 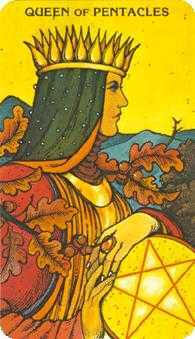 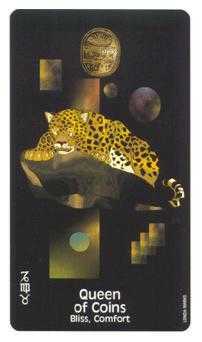 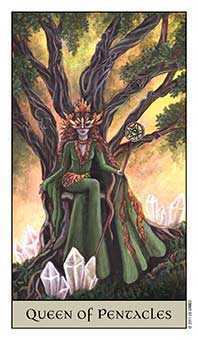 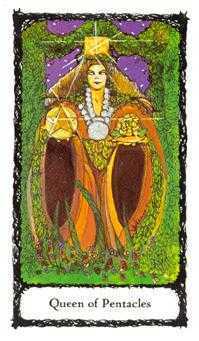 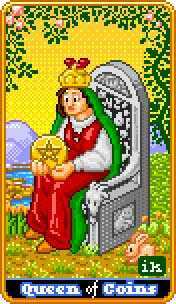 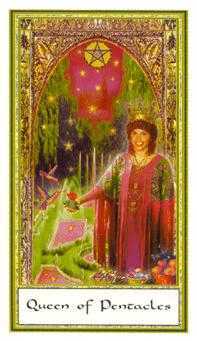 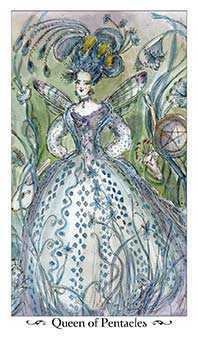 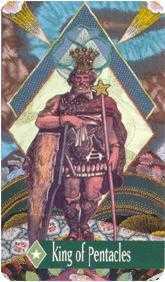 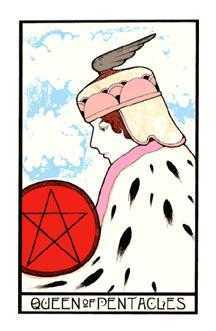 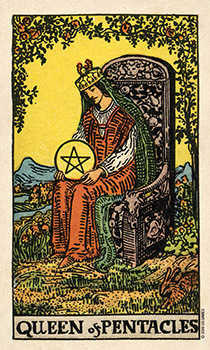 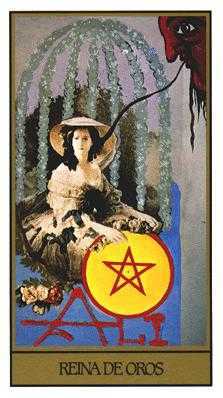 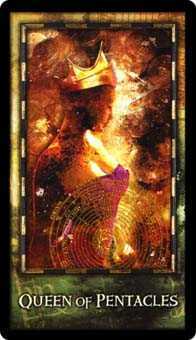 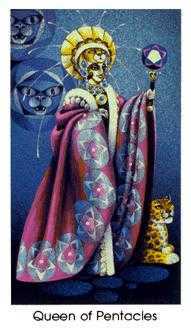 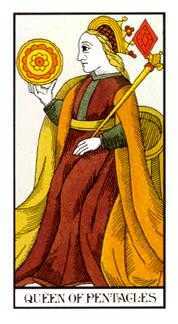 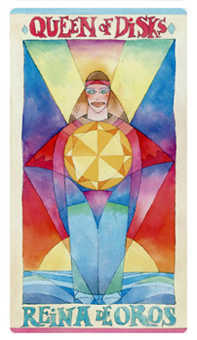 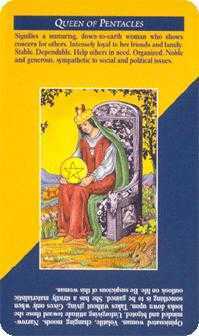 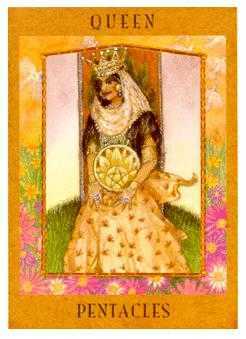 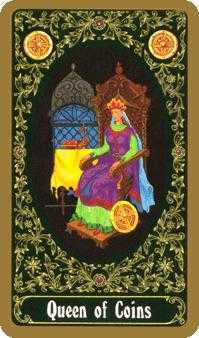 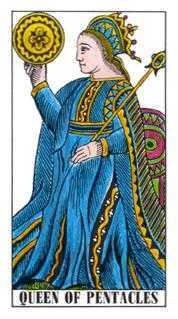 Traditionally, representing the energy of a Queen, this feminine guardian is endowed with enormous good sense and problem solving energy, but she is not particularly entrepreneurial. 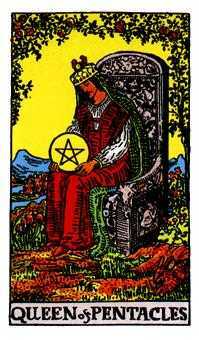 She loves to advise, encourage, and empower those she gets involved with, studying their problems with them and setting them up to solve them. 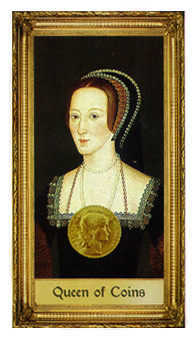 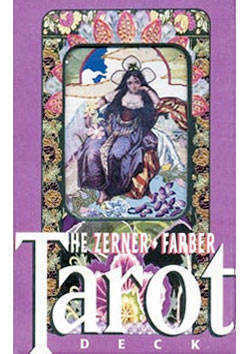 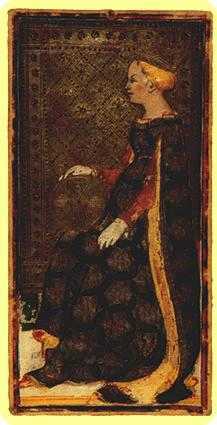 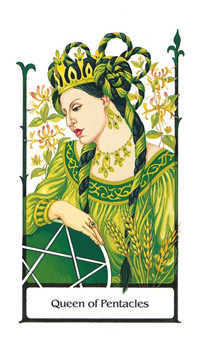 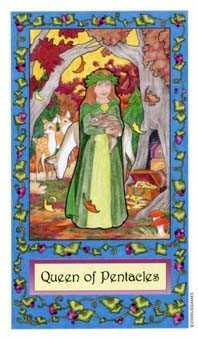 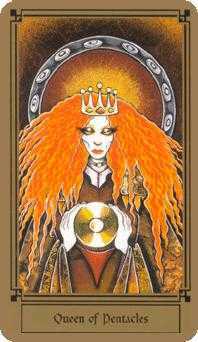 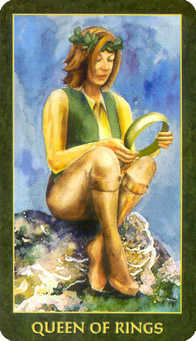 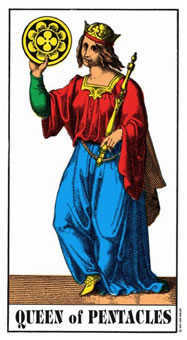 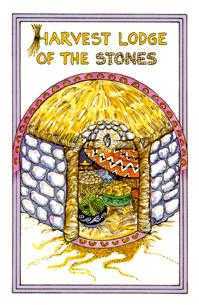 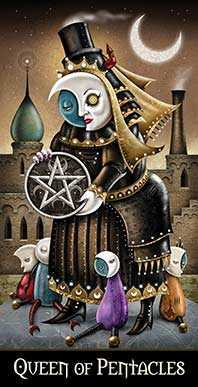 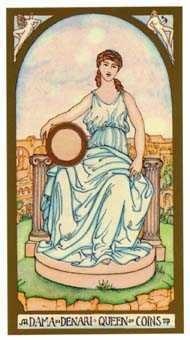 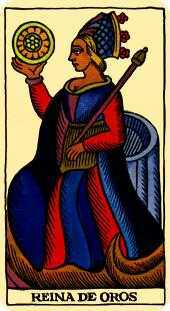 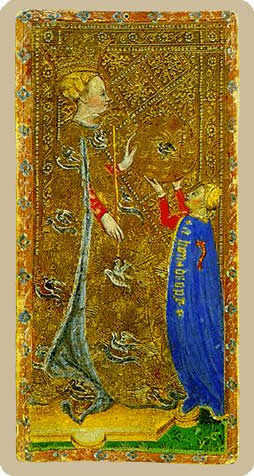 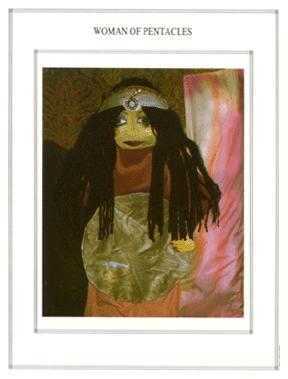 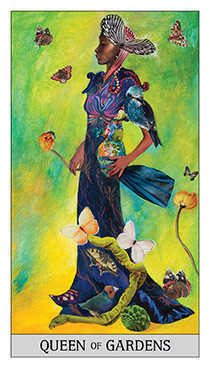 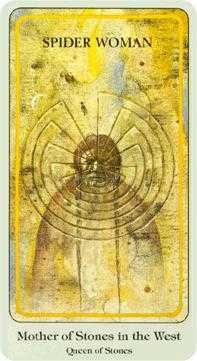 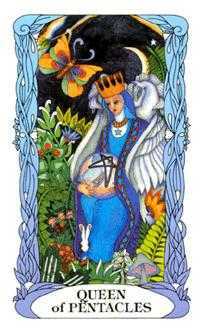 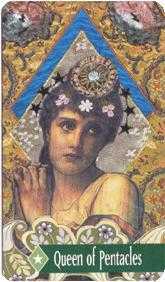 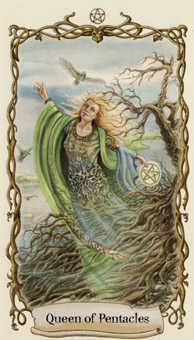 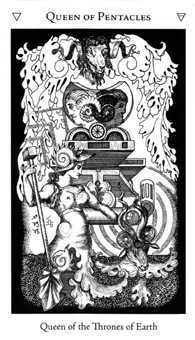 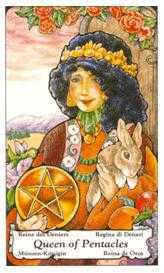 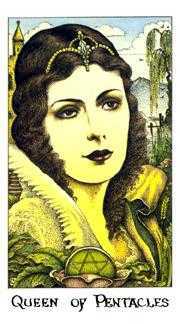 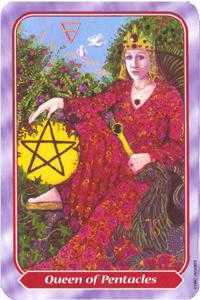 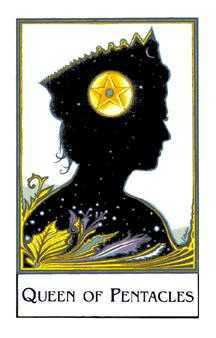 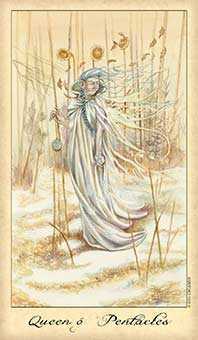 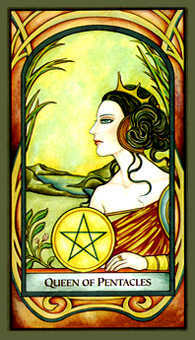 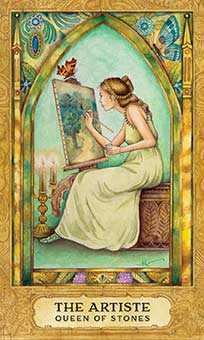 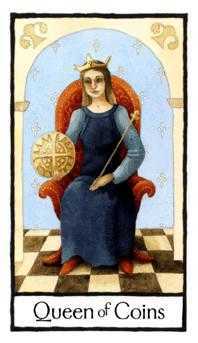 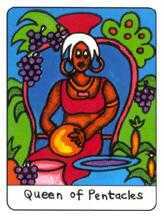 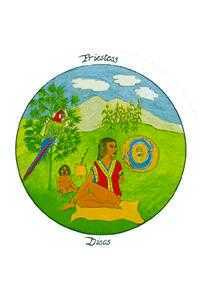 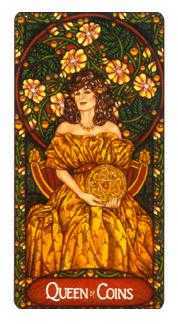 Traditionally, she was pictured as the Sibyl or Oracle, perhaps a Tarot reader, who made herself available to people in need, no matter what their social class or situation. 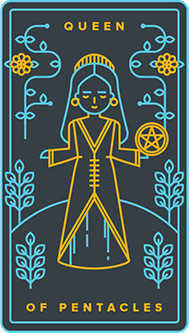 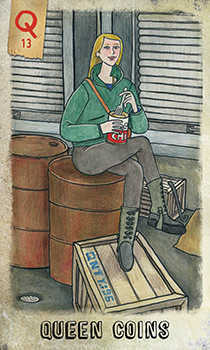 In modern times, she will be found educating, healing, managing disaster aid programs or a charitable drive of some sort. 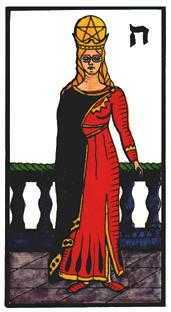 In every case, she does not see the benefits that exist in her life as belonging solely to her. 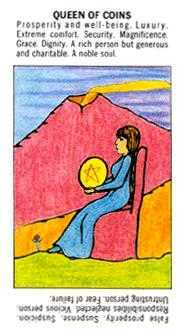 She feels the needs of her people and will spend freely of her time, energy, skills, money to see that nobody is left out. 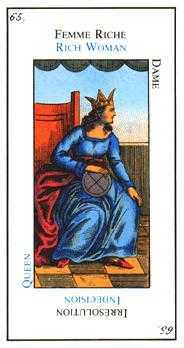 For this, and because she likes to work in an atmosphere of beauty, enjoyment and abundance, she is sometimes accused of being extravagant. 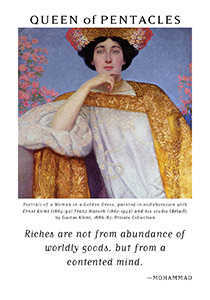 But she works hard, and she sees no reason to deny herself the rewards of a job well done. 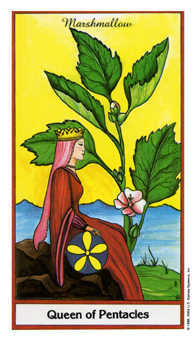 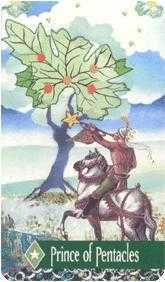 Everyone who comes in contact with her feels enriched by her enjoyment in living. 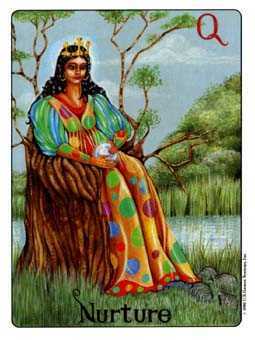 Be confident that if you express your truth, you will not have to worry about the consequences. 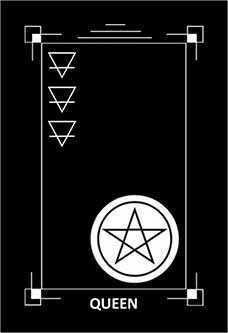 You will remain safe and sound. 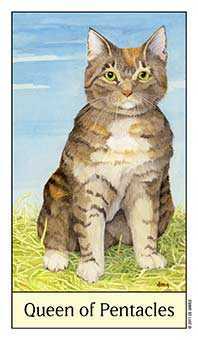 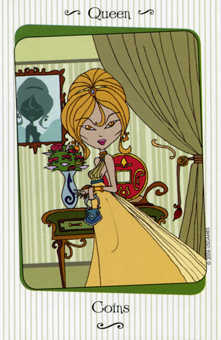 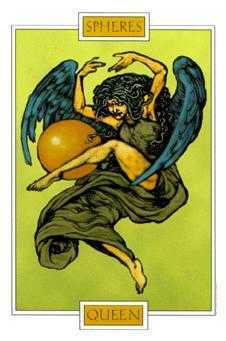 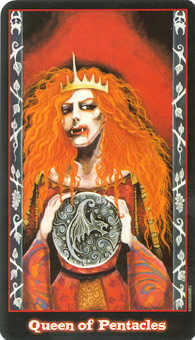 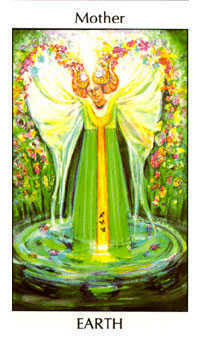 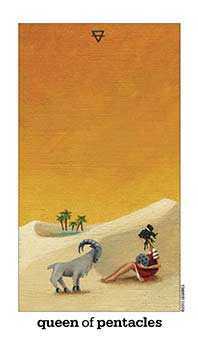 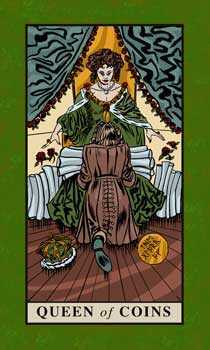 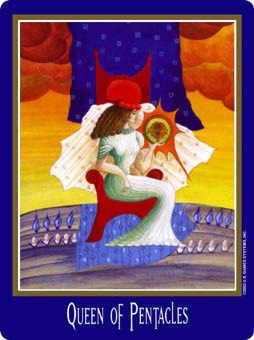 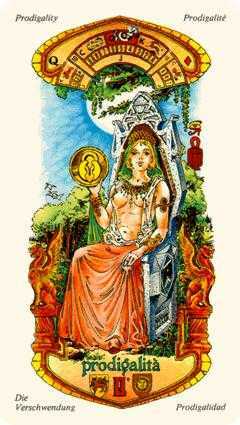 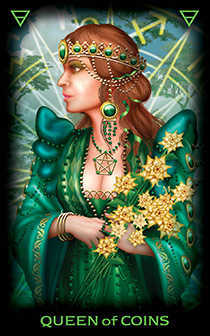 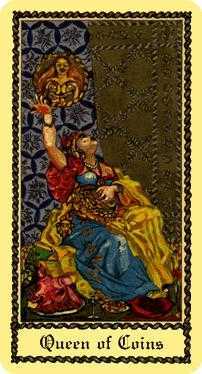 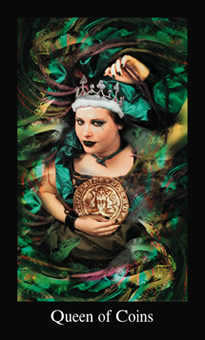 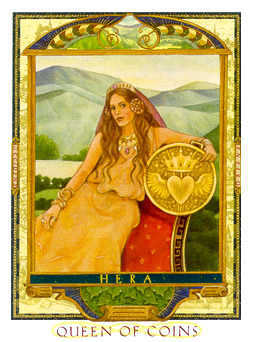 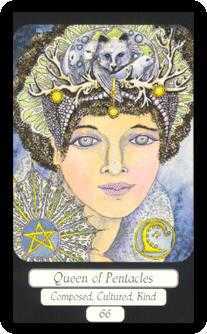 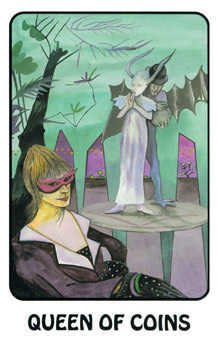 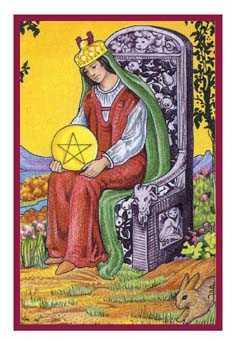 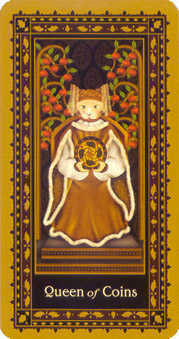 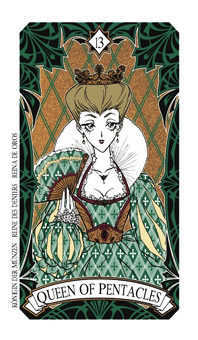 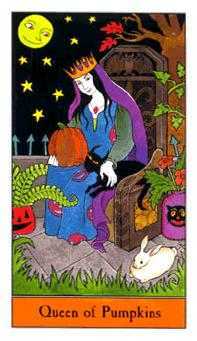 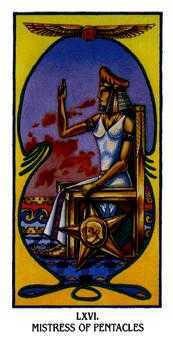 The Queen of Coins in this position advises you to trust the forces that have taken care of you up to this point. 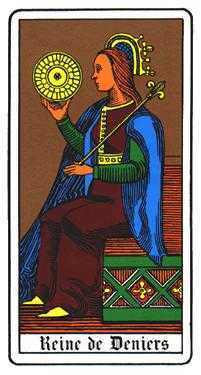 Continue to express your truth without worrying that you are going to lose the roof over your head or the bed you sleep in. 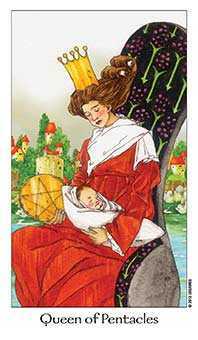 It is your destiny to be safe and sound at this time in your life. 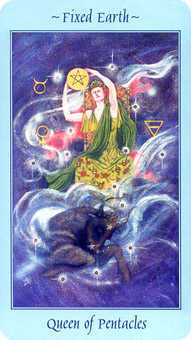 Proceed with confidence and do what you so strongly feel must be done. 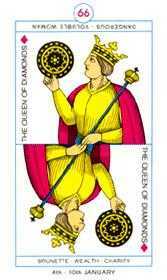 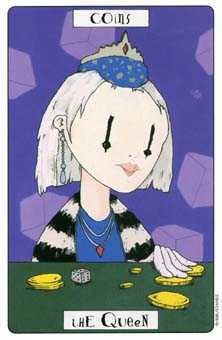 Since the Queen of Coins is often the person with the best intuition in the crowd, you may feel at first as if you are going against the grain, only to later find yourself becoming the leader of a new trend.